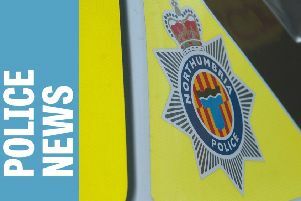 The Morpeth Neighbourhood Policing Team has undergone a slight restructure following the departure of an officer. PC Lee Taylor, who dedicated his last three years of service to the community of Morpeth, will retire next month after 30 years’ service with Northumbria Police. Two years ago, he was appointed Neighbourhood Beat Manager for the town. PC Andrea Taylor, who is already the neighbourhood contact for Stobhill, will now be the new contact for Morpeth town centre as well as the surrounding estates. Community Support Officer Holly Went joins the team having transferred from Wallsend and will work with the team to prevent and detect crime and disorder. PC Andrea Teasdale – who is the dedicated neighbourhood officer for rural Morpeth villages including Hepscott, Stannington, Mitford, Hartburn, Scots Gap, Cambo, Netherwitton, Stanton and Longhorsley – will also take over responsibility for Pegswood and Longhirst. PC Paul Dent will remain the dedicated neighbourhood officer for Ulgham, Cresswell, Widdrington, Red Row, Hadston, Broomhill, Acklington, West Thirston and Eshott. Supporting the neighbourhood officers are CSOs Paul Moorhead, Simon Beavers and Susan McCallum. Morpeth Neighbourhood Sergeant Sharon Wilmore-Greaves said: “This slight restructure will promote ease of contact for the communities we serve. “We wish PC Taylor a long and happy retirement and th-ank him for his service to Morpeth over the past three years.